Looking for a great deal? VarageSale is a must! Looking for a bargain? Me too! As a mother of two children who are 3 and 6, I find my self in constant need of new shoes, clothes, toys, and the list goes on and on. I also am always on the hunt for a good deal and a way to make a little extra cash. I recently discovered the VarageSale app. I must say it is AWESOME. You can not only find a great deal but you can also sell the items your kids have grown out of and almost anything else you have hanging around and no longer need or use. The great news is they are now in Ottawa! (and many other communities as well). When I first moved to Ottawa 8 years ago I found it a bit overwhelming. I have always lived in smaller town previously. 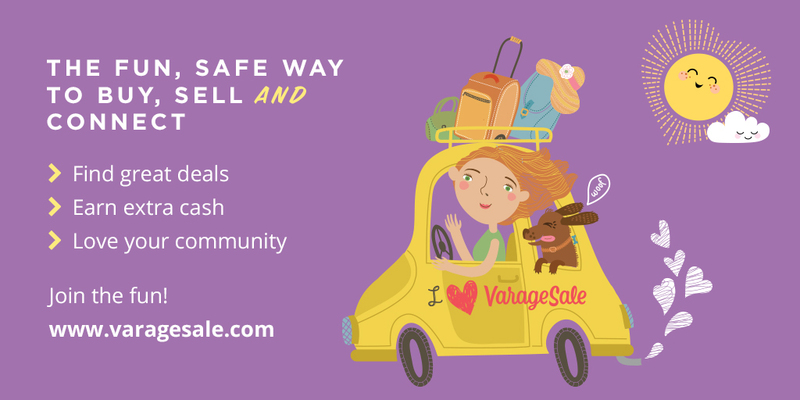 VarageSale has made it easy to connect socially with other sellers and buyers right in my own community. Your also able to provide feedback on local buyers and seller. I loved that the App lets you post items on the go and check your messages easily. Check out the below video to see just how easy it is! One of the things I really enjoyed about the App is how user friendly it is. I was able to post an item in less than 2 minutes and I had never used it before. I also found it easy to search for items. I found items at a fraction of the cost it would be to buy new and they were also in great condition. Check out there Facebook Varagesale, they often post great tips and deals! This post was sponsored by VarageSale. The opinions are completely my own based on my experience. 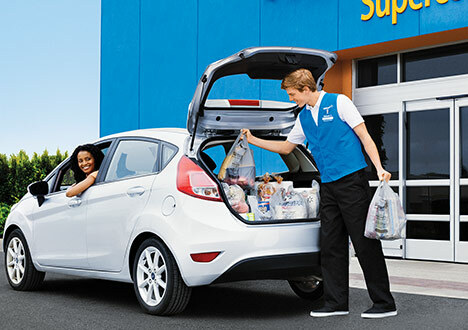 I noticed recently that grocery pick up services seem to be popping up everywhere. I normally am someone who likes to coupon, price match and enjoy the child free time while grocery shopping. However like everyone else in life, things get busy sometimes and a little bit of extra convenience can go a long way. 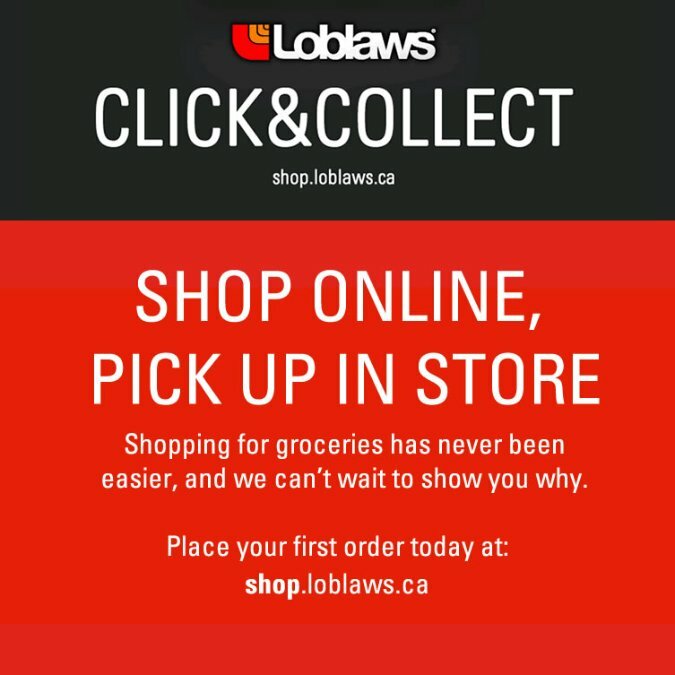 I decided I would test out both Loblaws Click and Collect and Walmart’s Grocery pick up. This is not a service I would use on a constant basis, however for those crazy busy weekends when family is coming down or we are booked solid this service does work great. How they work: You go to the website of the service you have chosen: Loblaws Click and Collect or Walmart Grocery Pickup. You would then choose a pickup location and time and are given one hour to complete your order. You then would go thru each section of the store or by using the search bar and you fill your cart with your desired items. Both have a $50 minimum order required. Once completed you confirm the order. Walmart does require payment made in full advance where Loblaws allows you to pay when you pick up. The Pros: You can pay when you pick up with debit and still earn your PC points. They were faster than Walmart as well. I also liked how they list all flyer deals each week and allow you to ad those to the cart. They also had very brightly labeled parking so it was easy to find and easy to call for the groceries to be brought out to the car. I had ordered something they ran out of and they called me to ask if I want to cancel that product or have it replaced with something similar. I found that to be handy. The Cons: I had to try to place my order 3 times as the web site kept crashing and emptying my “grocery cart” before I was done. Also the cost. Depending when you pick up they charge between $5-7 Dollars. Walmart charges a flat fee of $3. I also found the available pick up times fill up extremely fast. The pros: They only charge $3 for this service no matter when you pick up time is. The website is also extremely user friendly and I had no issues at all using it. I also loved how it is aware of the quantity available and if something is out of stock it tells you before you can order it. At pick up time they also gave me a gift back full of Great Value products and treats to try for using the service. (It had a value of about $25!). The Cons: When I arrived at my designated pick up time it took me a few moments to locate the grocery pick up parking spaces and it took about another 10 minutes to have my groceries brought out after I called the number on the sign. The Verdict: In my opinion they are both helpful services however based on cost, friendliness and the availability of my items I would say Walmart wins this battle. Please comment and let me know your thoughts on the service? Would you use is? 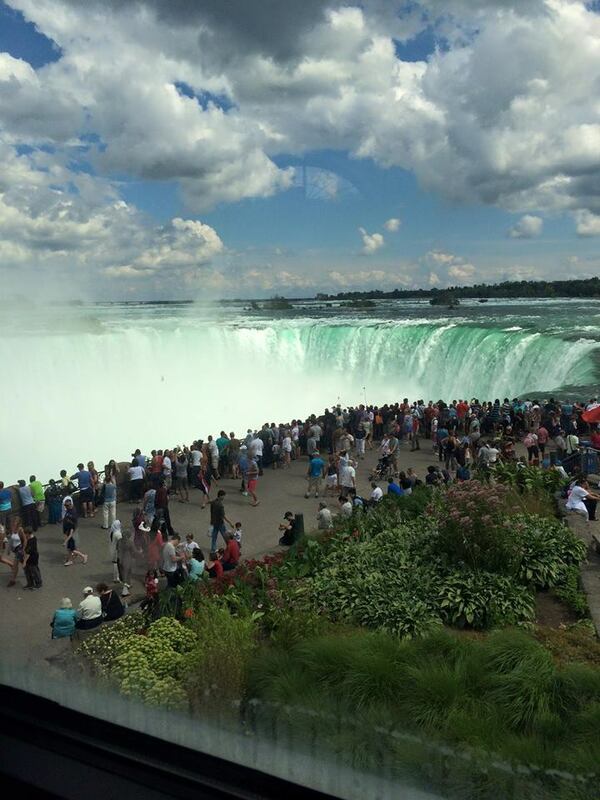 I recently went to Niagara Falls with my husband 2 children for a 3 day family getaway. We had an amazing time and enjoyed going however there was a lot of sticker shock while looking up the cost of things. I did my homework to avoid over spending and wanted to save where ever I possibly could. One night while I was googling things past my bed time I fell upon a CBC special called Stash your Cash. They explained how there is a tourist tax added to most things including hotels, restaurants and attractions. It ranges from 4% to 10% of your bill. This can add up quick!! What people are unaware of is this tourist tax is optional. Yep you read that correctly…. you do not have to pay it! I put this to the test on my trip. At the end of my trip I tallied it all up and I saved over $144!! That’s not a small amount. If you are planning a trip soon to Niagara Falls soon keep this in mind so you can keep your hard earned money. Last night my husband and I went with our 2 children to my parents for a wonderful Easter dinner. That got Riley my 6 year old really pumped up (he got spoiled!) 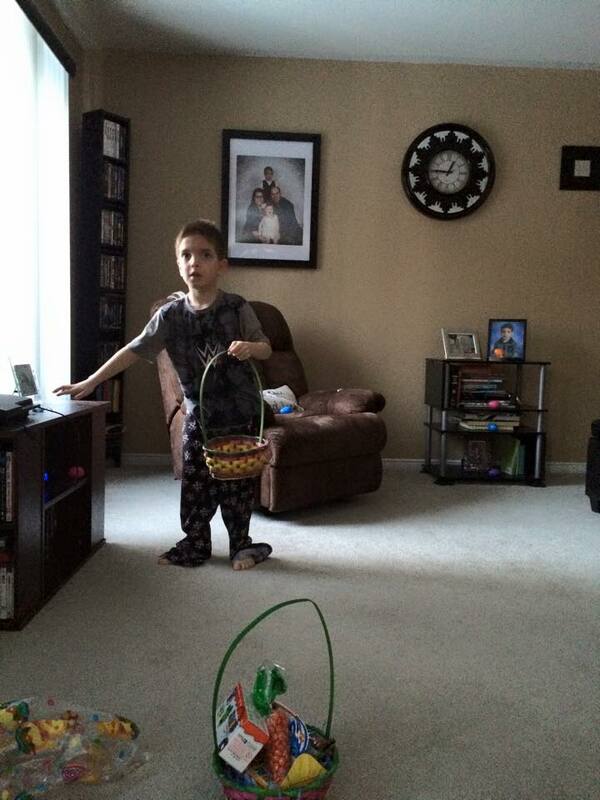 When we came home he was so excited for The Easter Bunny to come that he wanted to go to bed early. (7 Pm!!) and sure enough we let him . Luckily we were able to get everyone back in bed until about 6 am this morning. (3 cups of coffee later I was ready to function). 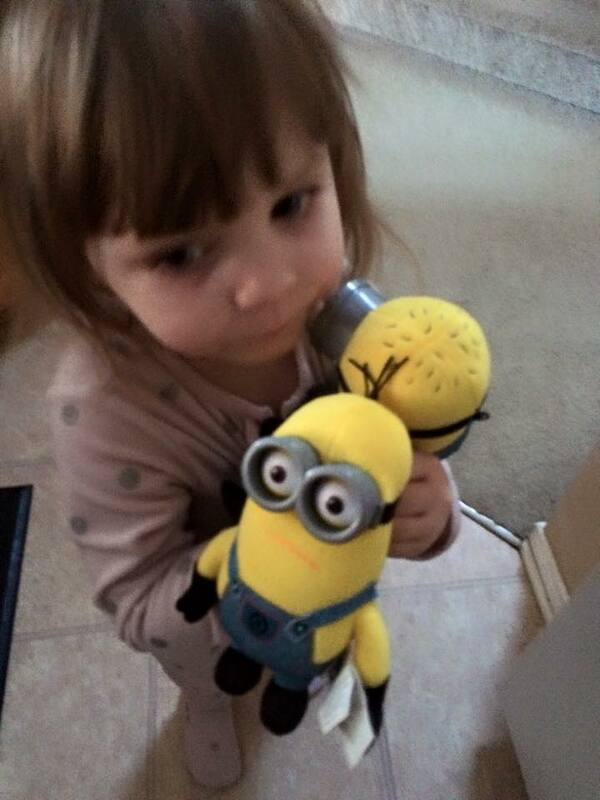 They had an amazing Easter and were both extremely happy. Free Coffee for a month!!?? Finally, the better weather is on the way, or so it is suppose to be. Every year around this time I get that “Itch”, as I call it. That is the itch to clean. Freshen and renew, pretty much everything. What can I say, I LOVE spring cleaning!…… I know… I know , I am crazy but just the smell of lemon and hearing the birds makes me want to clean. Along with that I always look for good deals on cleaning products, fresh sheets and anything else that can give that freshly renewed look/scent without breaking the bank. As I plan to venture out this weekend to search for some refresh on a budget, what are spring must have’s on your list? What are you hoping to save money on? Here are some tips I use to find good deals. What are you looking forward to this spring? Leave a comment and let me know. Thanks for stopping by! My name is Melissa, I am a 30 year old mother of 2, wife, business owner and lover of all things that save money and make life easier! I have a passion for couponing, finding great deals, tips for around the house and much more. I am new to the blogging world so please feel free to reach out me and give tips, feed back or ask questions. Your home for Disney news, articles and opinions! The mommy style guide to living a mod life on a modest budget. welcome to my contest site.